The other day at work, I was walking down the office hallway with the requisite "I'm happy to be at work smile" plastered on my face. You know the one I'm talking about; you probably have one as well. I passed a co-worker, widened my smile, and said "hello." But in my head I didn't have a smile. Instead, I slide tackled him. Just like I would have done on the soccer pitch when I played. Except in the daydream in my head, I was still in my dress and heals and not in cleats and a team uniform--my Walter Mitty elevator moment. This thought made me laugh, and my smile became real. I have nothing particular against this coworker; in fact, Ian, who is one of my coworkers, has been the subject of this work fantasy as well. Rather, the imagining stems from the built-up stress of everyday life and not from any specific dislike for any of my coworkers (at least as far as I'm willing to admit here). Apparently, when I played soccer, the slide tackle was not only a useful defensive tactic, but a bit of a stress relief for me. And, unfortunately, in the office, unlike on the field, slide tackling and kicking balls into goals are not appropriate forms of stress release. When I find this slide tackling reverie playing out with more frequency and the stresses of every day life building, it's a signal to me that it's time for a vacation, ideally where I can unplug and focus on the here and now. 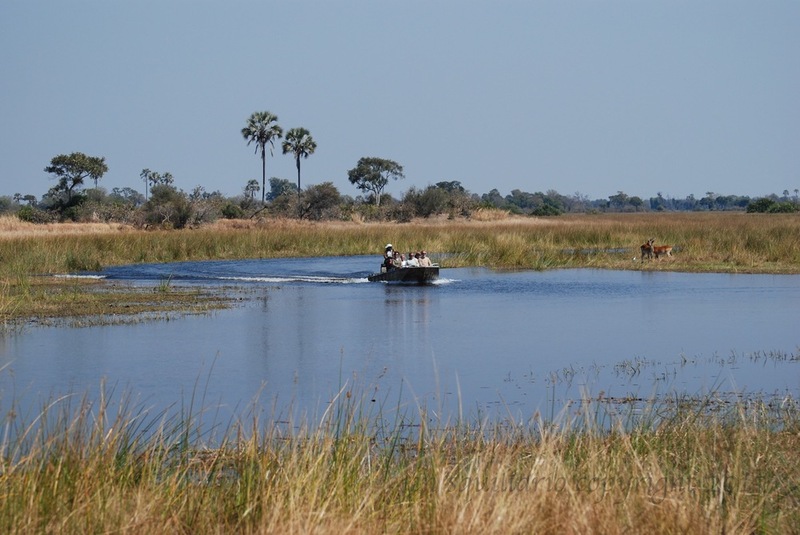 There is no better place to reset, if you can swing it, than a safari in the Okavango Delta in Botswana. ** The Delta may be one of the few wildernesses left where my phone does not work. And, when my e-mail out of office says "I will have little to no access to email," I mean it. 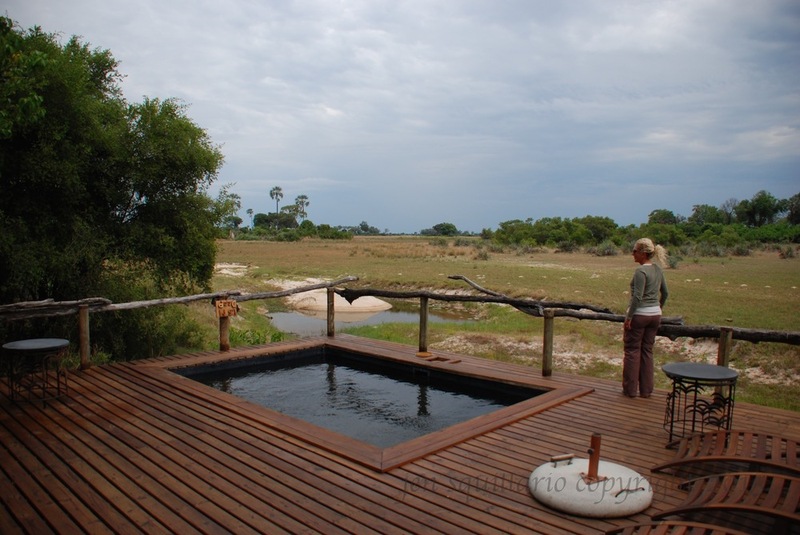 No thoughts of email, or access to it, while photographing a leopard in the Okavango Delta while at Little Tubu. Given the changing nature of the Delta throughout the year and its great expanse, it's not surprising that there are no cell towers out there . . . yet, or that it's a great place to getaway from it all. There are no city skylines, no power lines, no telephone lines, and no sounds of traffic other than the small planes transferring people and goods between camps and troops of baboons moving through your camp. And, you can actually sees stars at night. Not a handful but thousands of stars. Some photos to scroll through of the varied landscape of the Delta from our trips to the area (hover over the photo for more information). A birthday celebration for Ian's big birthday! Day 1. We were at Little Tubu in November, and young animals were abundant, particularly impalas. With the coming of baby impalas, a choice meal for a leopard, comes easier leopard viewing. We started our first drive at Little Tubu with just that--a leopard. The light wasn't ideal for photography, but the leopard was calm, and we had a good vantage point for close up shots. Day 2. 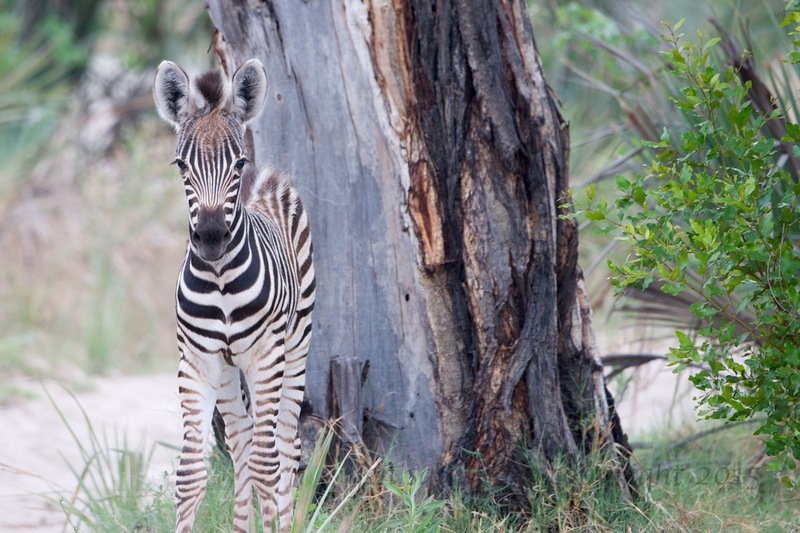 Our second day was filled with a variety of wildlife, including young zebra, drinking elephants and an impala family unit (photos to scroll through). Journalist Earl Wilson insightfully stated: "A Vacation is what you take when you can no longer take what you've been taking." We all need a break, and in my experience those who claim they don't need to take a day off here and there are lying. 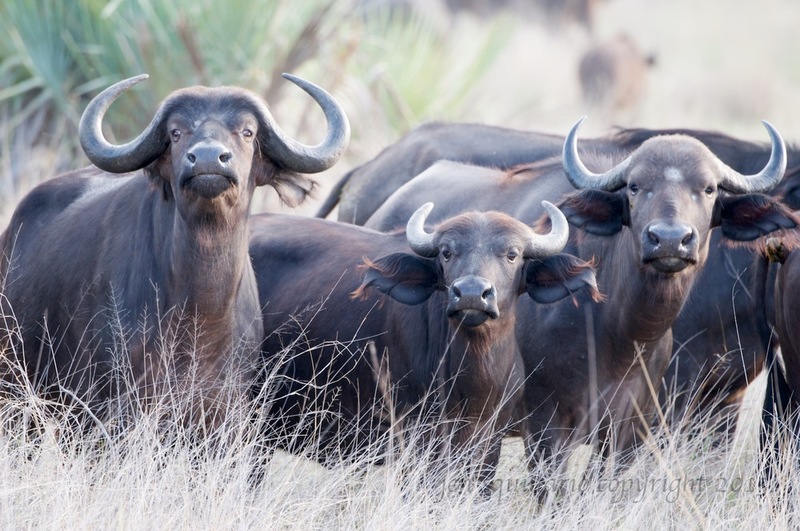 For me, the ultimate getaway from it all is a photographic safari. When out on a drive for hours, searching for and photographing wildlife, I'm only thinking about the animals, the landscape, and my camera. I'm not thinking of deadlines, office gossip, or family drama. 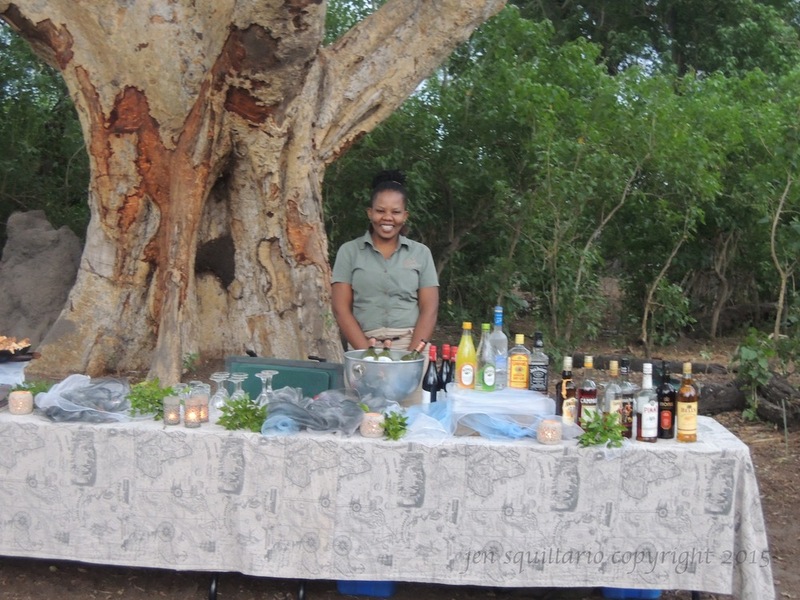 In between drives (when not napping-there's nothing like a nap in the bush), there is no TV to overwhelm you with constant news stream, advertisements or "reality" shows. Rather, I get to spend quality time with Ian, catch up on fiction reading, work on my photos and camera, and enjoy nature. I'm not worrying about the many household chores I left behind. I used to consider these activities of photography, watching wildlife, and reading to be mindless activities, but have come to learn that they are better termed mindful activities--the concept of being present and only thinking of what you are currently doing. I often search for the same mindfulness at home, and I have found there is no better training for mindful activities than a vacation. *FYI - This trip was planned by our wonderful travel agent, Jeanie Fundora at www.travelbeyond.com. My brother, Steve (who should go on a safari with his wonderful wife Ashleigh), provided editorial support, i.e., finding my numerous typos. And, of course, Ian provided invaluable content for this blog and is my favorite travel companion in life! 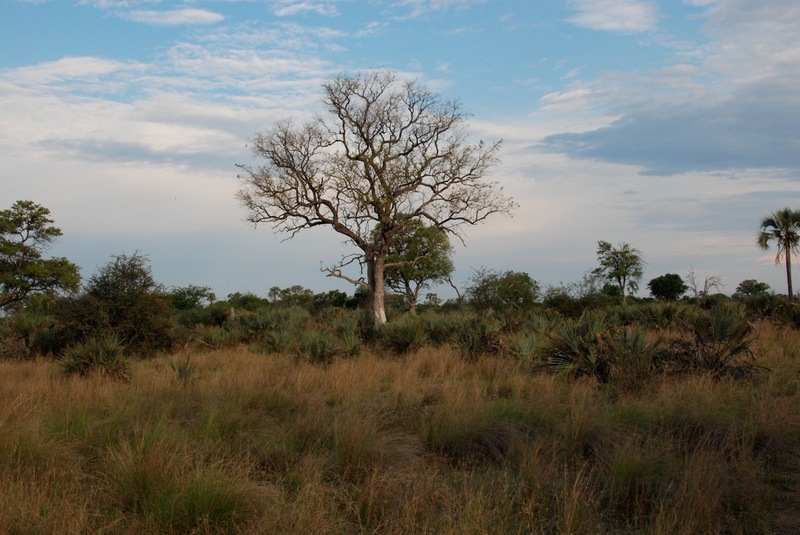 **The Okavango Delta is a UNESCO World Heritage Site (see http://whc.unesco.org/en/list/1432 for more information). *** The basis for this paragraph comes from the many game drives we've been on in Botswana and the Guttering & Reumerman, Okavango Field Guide.